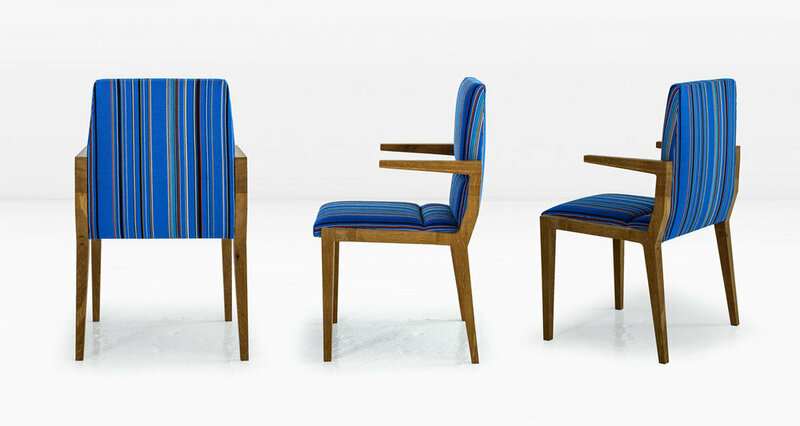 The solid wood frame of the Julian frames a crisply upholstered seat which rises and forms the back rest. 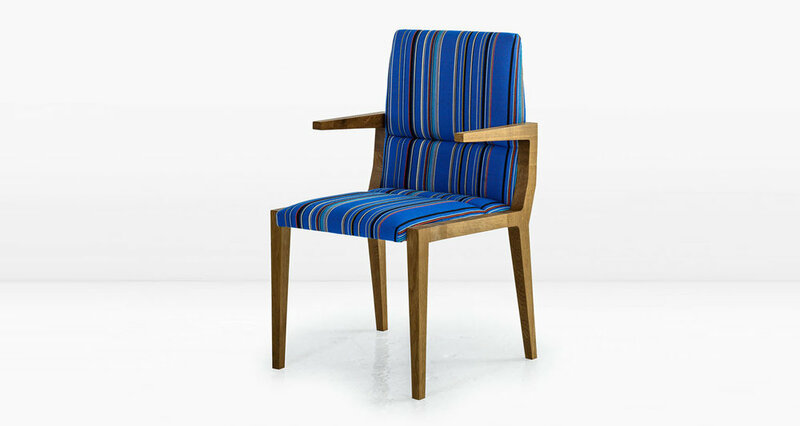 Shown with a Fumed White Oak frame and Wool Stripe fabric. Also available in American Black Walnut.